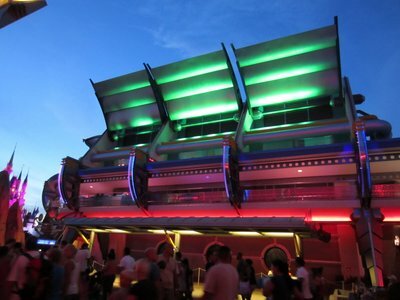 World of Walt is a hobby, a site dedicated to providing accurate, timely, and entertaining information about The Walt Disney Company – and specifically about the Walt Disney World Resort in Orlando, Florida and its theme parks: Magic Kingdom, Epcot, Disney’s Hollywood Studios, and Disney’s Animal Kingdom. We also have useful information on Disney tickets, Disney resorts, Disney vacation planning, and the Disney Cruise Lines. We hope that this site will be a useful reference as your plan your magical voyage to the most magical place on earth – and build vacation memories with your friends and family that will last a lifetime. We look forward to providing more and more information about Disney World and all things Disney. Here at World of Walt we are not affiliated or associated with The Walt Disney Company, its affiliates, or its subsidiaries (although that would be very cool). We are an independent site not officially connected with the Mouse House. Check out our Contact Page – we would love to hear from you! If your are a Disney World fan and like to share your enthusiasm with others, why not write for us? If you are interested in a business partnership, including advertising, product reviews, or sponsorship, please see our page on Partnership Opportunities. I would like to thank Heather Herstine for her help in editing and proof reading much of the content on World of Walt. We are Disney fans too!